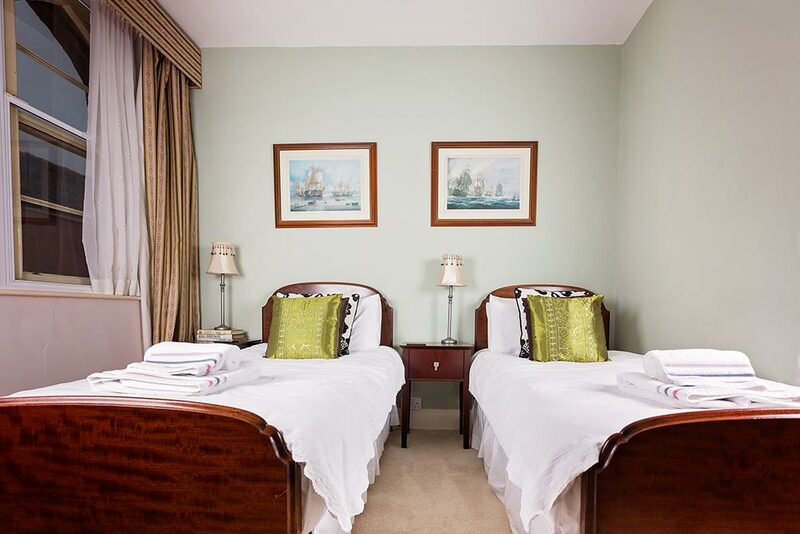 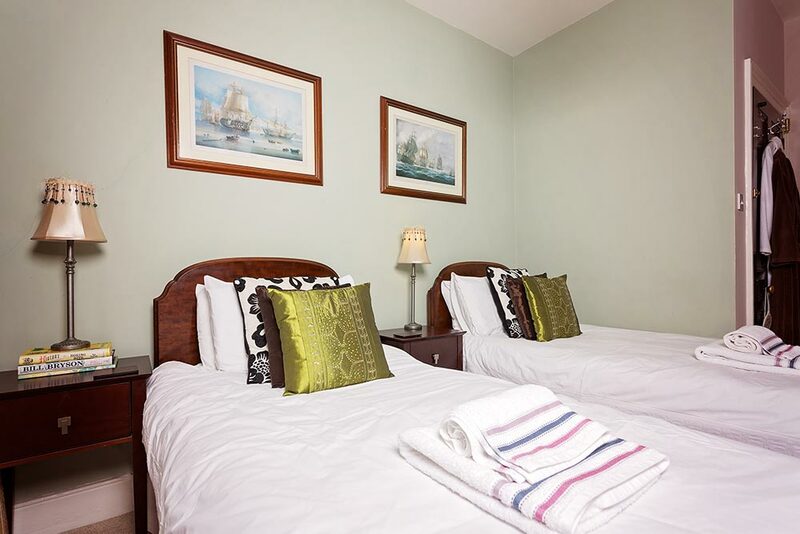 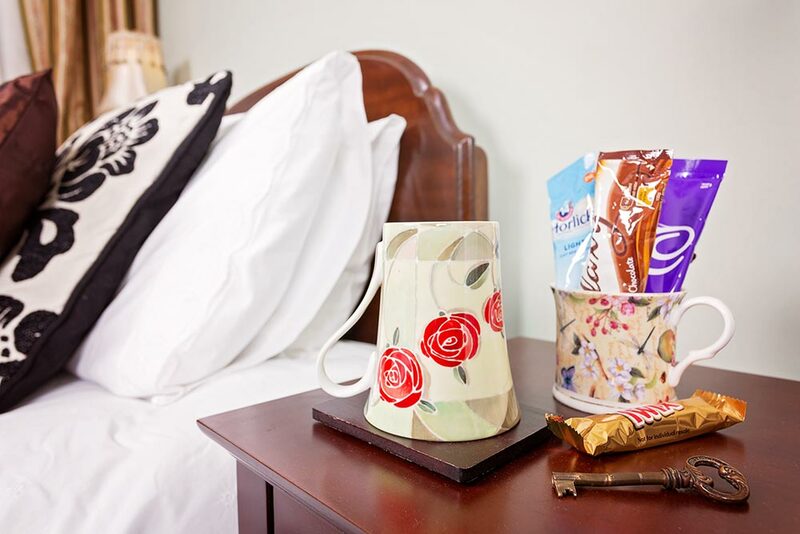 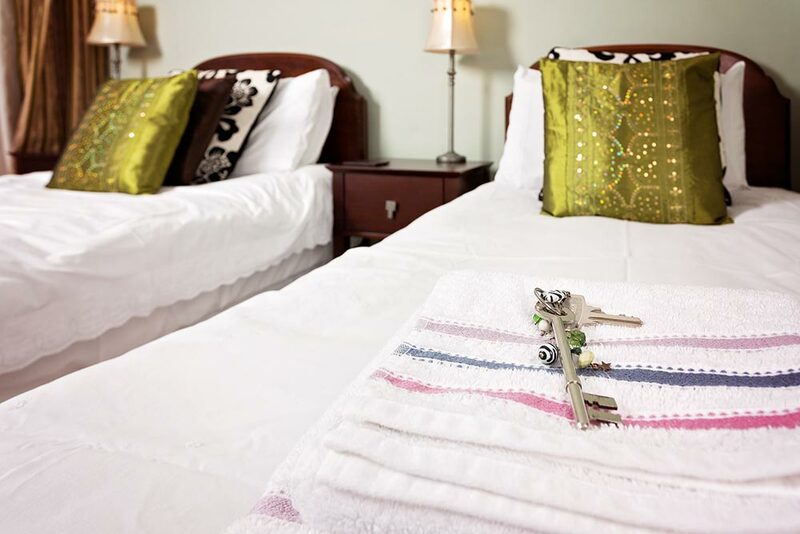 Our Adwen room has rich dark mahogany furniture – two full size single beds. 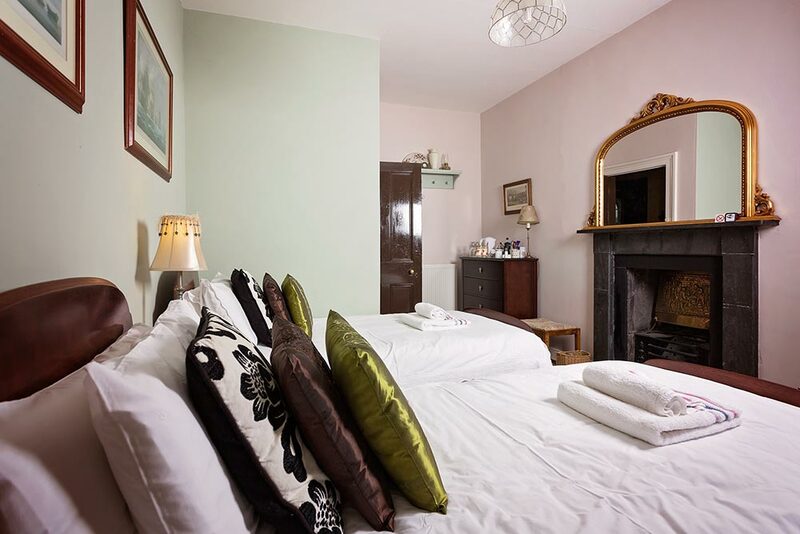 Cosy in the winter with full central heating and cool in the summer – Roscrea is a traditional Cornish slatestone built house. 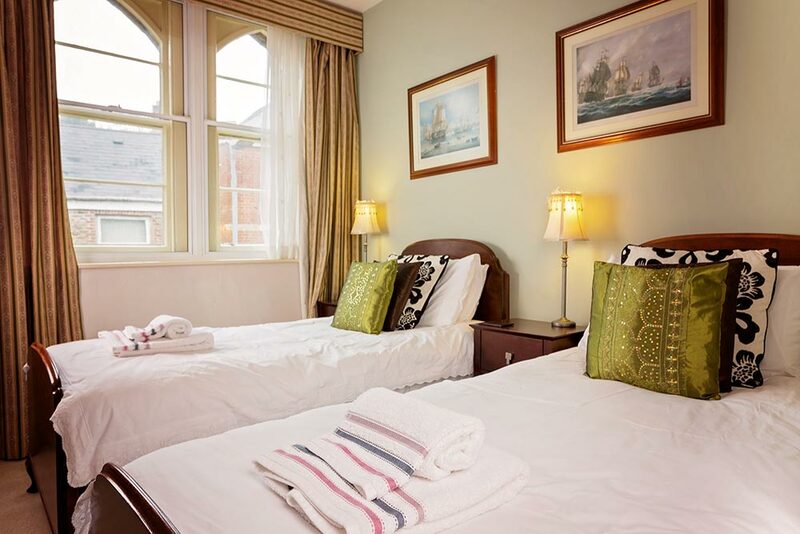 Adwen looks out over the town and catches the evening sun – a comfortable restful room to return to after your busy day.